Edited by BigNaturals, Sep 29 2018 - 19:55.
it also says with in the brackets "(when playing for the defenders in Assault mode)"
"cap/defend" - if you win by cap, YOU need to have at least 1 cap point. 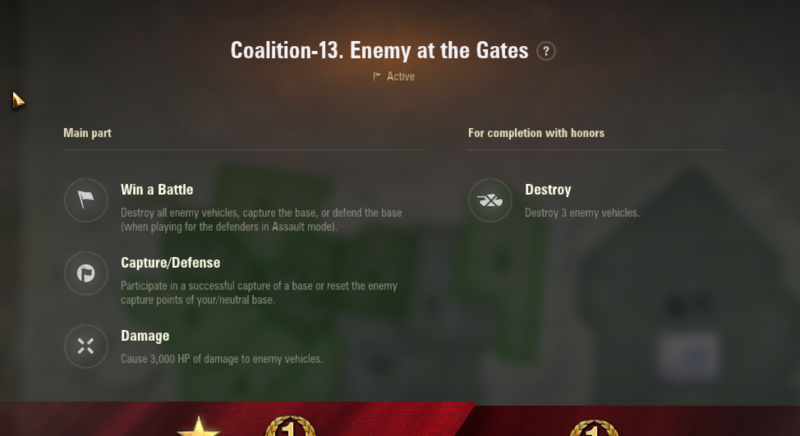 If you win by destroying all enemies or win while defending in Assault mode, YOU need to have at least 1 defense point. So, if you have 3k+ damage and kill all the enemy tanks, you have to make sure that at least one of the tanks you damaged was in the process of capping.